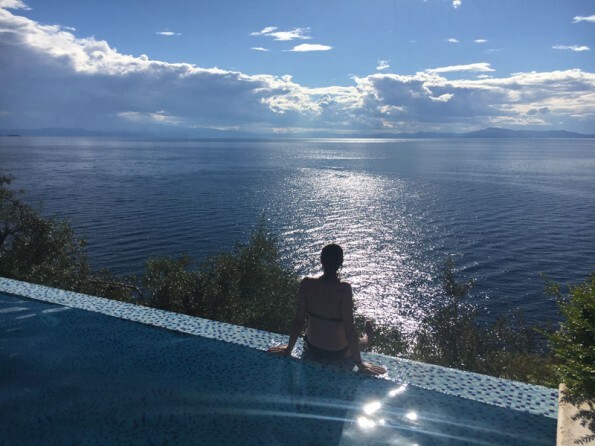 A luxurious house on a private estate near Pelion in Greece, an infinity pool with breathtaking panoramic views over a sparkling blue bay, a tranquil village setting. 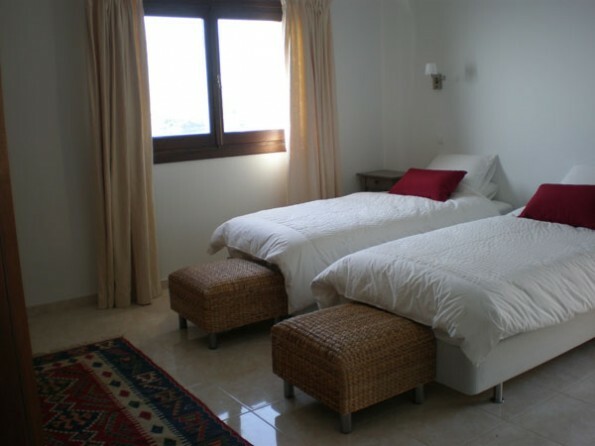 Accommodation for up to 14 and luxurious interiors. 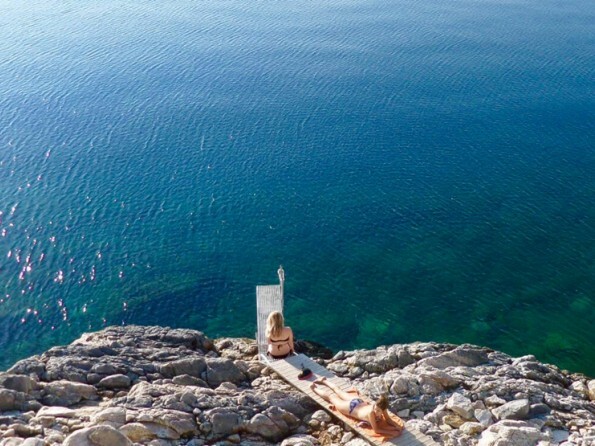 Welcome to your own little piece of paradise. Five seater motorboat provided for your use in the summer months. 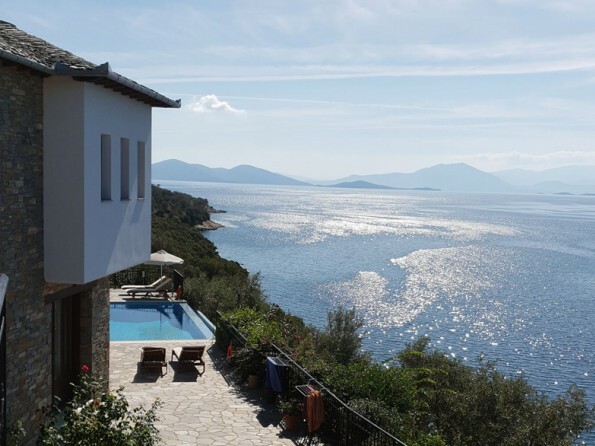 In a commanding position at the head of the bay of Lefokastro on the Pelion Peninsula sits Dolphin`s Leap, a beautiful secluded estate which comprises a main house and a charming little annexe known as the Writer`s Retreat. 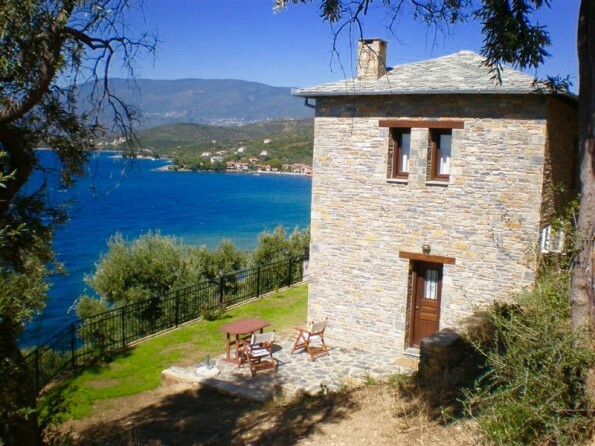 Altogether, the property can sleep 14 people and it has everything a group of friends or families could possibly want for a restful holiday - a pool and terrace overlooking the bay and mountains, bedrooms with air-conditioning and sea views, a sandy beach just a moment away and a delightful village with a small selection of tavernas to relax in. Surrounded by olive trees and the natural flora of the Pelion forests, the house was built from local stone using local craftsmen and it blends naturally into the contours of the hillside. 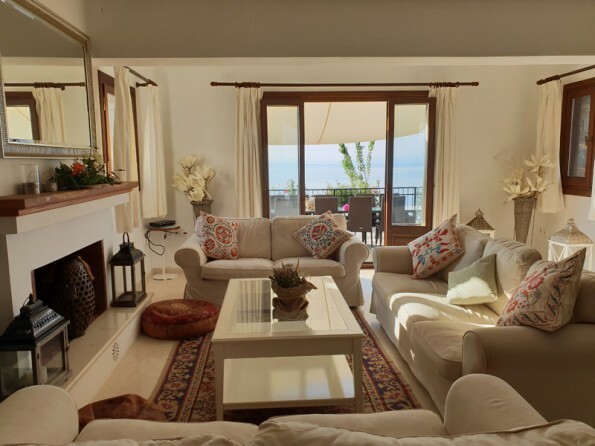 Watch dolphins frolicking in the cove, take a yacht out on the water, or just sit on the terrace with a chilled drink at sunset. Who could ask for more? 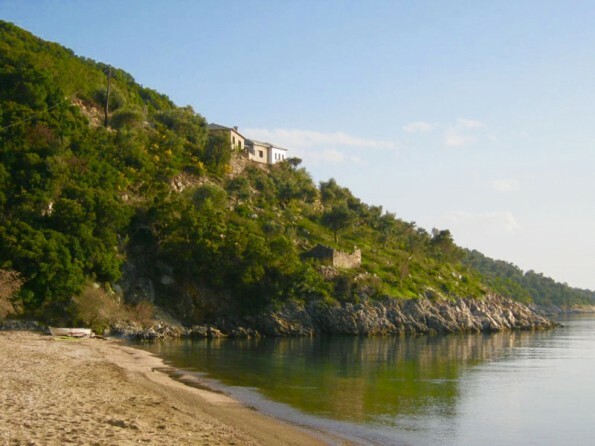 Just 2 minutes from the estate is a small sandy beach which separates the house from the village. Isolated and peaceful this is the perfect place for a picnic or a dip. 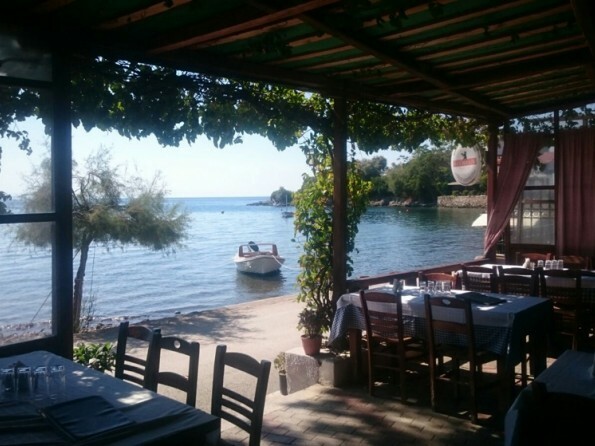 Beyond the beach is the village of Lefokastro where there are 3 tavernas, a shop and a bar. 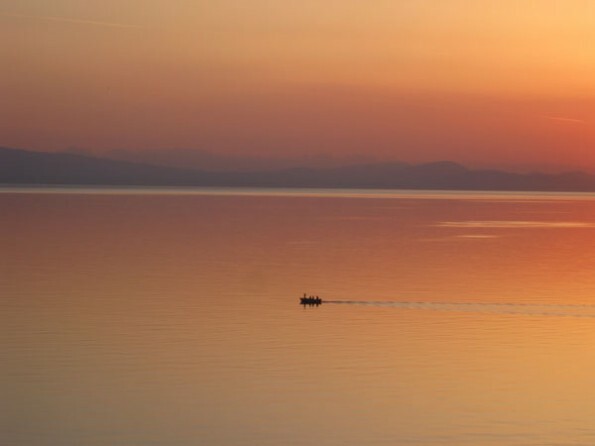 Although there are a few direct flights into the airport at Volos, space is limited on these and most visitors to Pelion travel here via Thessaloniki. From the UK, the cheapest flights are with Easyjet (Gatwick) or Ryanair (Stansted). Smaller parties may be able to get on the weekly Monarch flights to Volos from Gatwick. 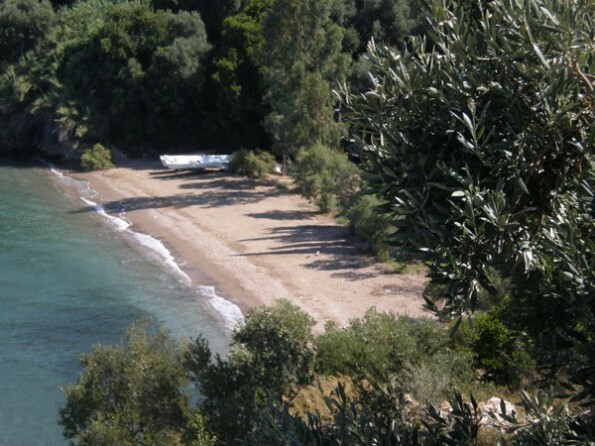 Another option is to fly into Skiathos and then take a water taxi to Pelion which takes around 15 minutes. We will then pick you up and take you to the house. 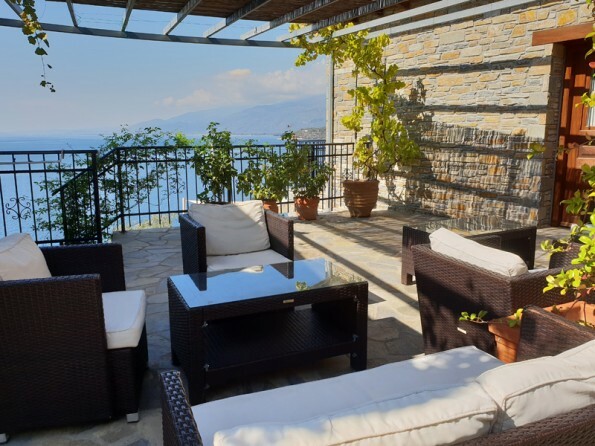 The drive from Thessaloniki to the property is quick and easy, straight down the motorway to Volos (about 2 hours) and then 30km down into Pelion. The house is accessible by a 500m driveway which runs down to the house. The main house, which sleeps 12, is divided by an open terrace into two wings. Wing A has a master bedroom with its own private balcony and a large en-suite bathroom, two further en-suite bedrooms which each sleep 2, and a spacious open plan living, dining and kitchen area. Wing B has two double bedrooms on the first floor, one of which, the Pelion room, is flooded with light from the 6 windows that take up the entirety of two of the walls. The other has direct access onto the upper terrace, and there is also a family bathroom on this level. 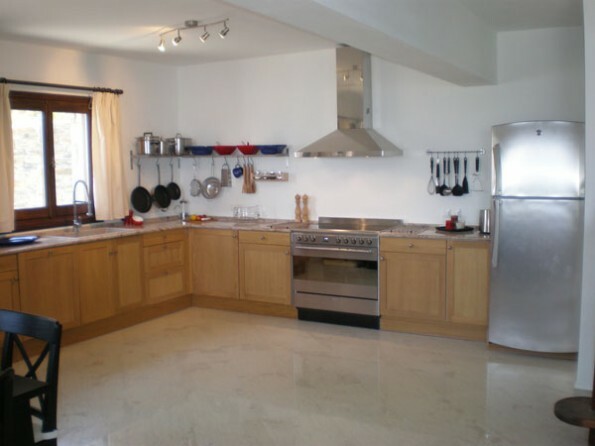 On the ground floor is a fully equipped studio apartment with its own kitchen, sitting and dining area and large French windows which open onto the front terrace. The Writer`s Retreat, which sleeps 2, has a stunning galleried bedroom, air-conditioning and a wood burner for all-year comfort, and is completely self-contained. The stunning 9x4m infinity pool is surrounded by a spacious terrace scattered with sunbeds and comfortable rattan furniture. 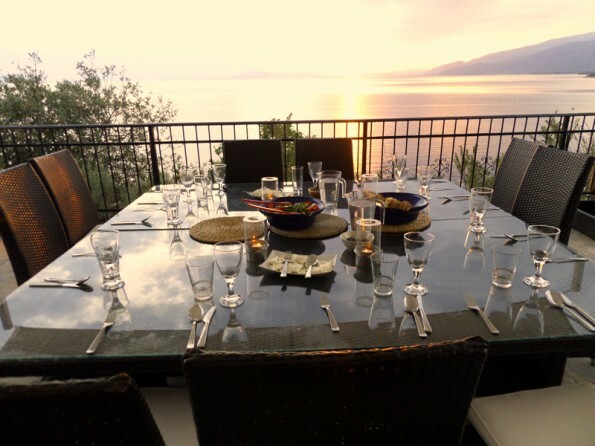 Further round the house you will find the front terrace, furnished with a dining table and chairs for up to 14 people. 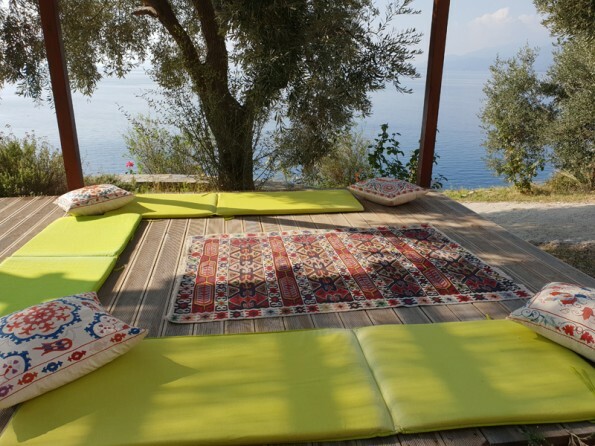 Sit under the shade of the large umbrella or stretch out in the afternoon sunshine - the spectacular views make this a spot that you will want to spend all your time, whether you`re reading, eating or sunbathing. A barbeque is provided for al fresco cooking. 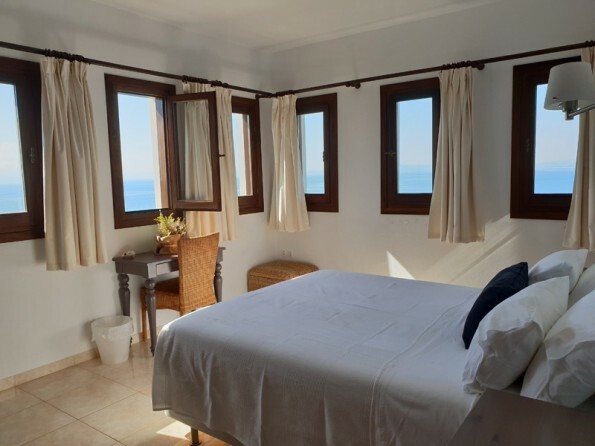 The Writer’s Retreat has its own private terrace overlooking the sea. It also has a separate drive, access and parking area so it can be let completely separately from the main building if necessary. The pool has a high-tech non-chlorinated filtration system. The house has 3 satellite TVs with DVD and every bedroom also has a terrestrial TV. Prices quoted include a welcome pack including a light evening meal for first night, a twice-weekly clean and change of linen and towels, air-conditioning in all rooms, WiFi broadband in all rooms, towels for beach use and a private local representative available 6 days a week to assist with any special needs or requirements. Additional services available on request also include airport transfers by taxi or private minibus, a daily maid service, car hire, boat hire and event management/party catering. Greek Tourist License number (MHTE) 0726K123K0382801.